they are african headdresses made from bird feathers (which are a symbol of prosperity) and are traditionally worn by village chiefs in the cameroon region of central africa. 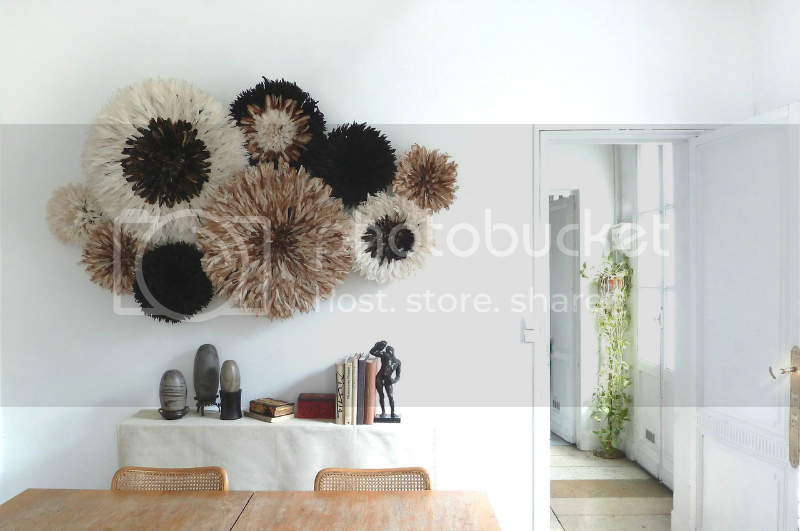 the base of each hat is made of raffia and the feathers are sewn by hand and create a huge artistic circle to perfectly adorn the head or in this case, a wall in your home. 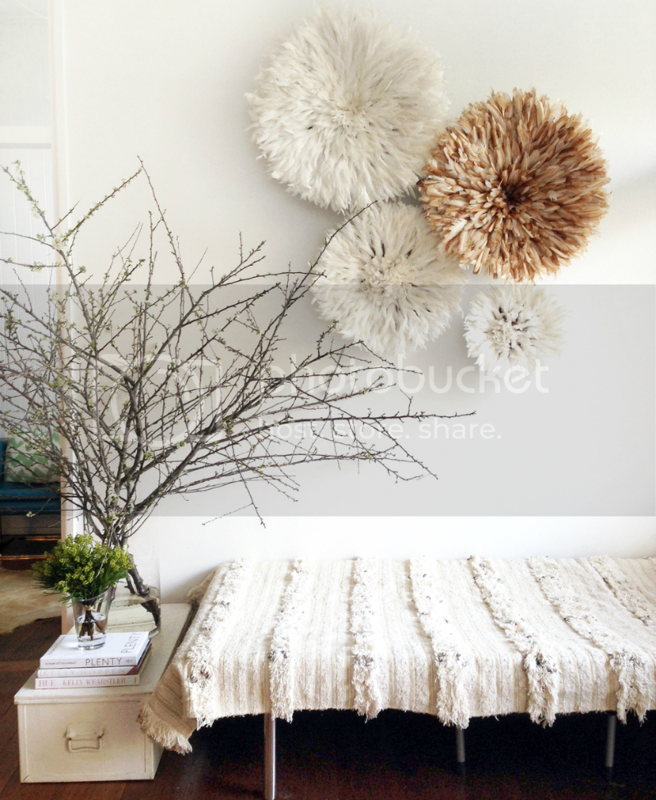 if you are looking for more ways to add some texture to your home, check out this post for styling with plants and this one for other creative things to deck your walls. and if you like to diy and you want to save some cash on your juju hat, check out these tutorials: here, here, and here. 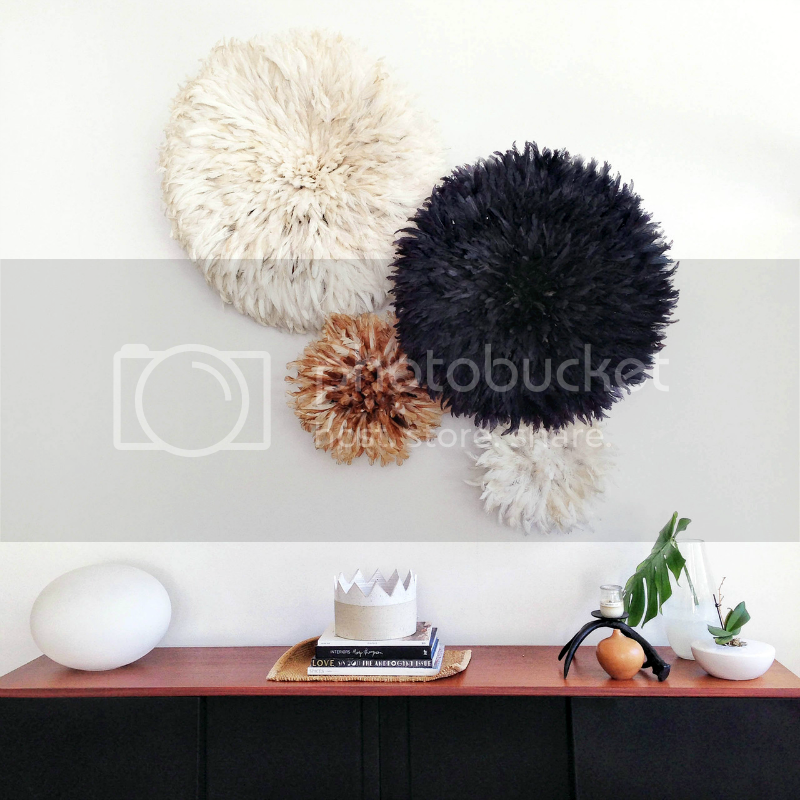 they also sale the beautiful juju hats featured in this post.